Cats are generally pretty good at grooming themselves and need minimal help from their owners. Depending on the breed and hair length of the cat, you may need to jump in with a brush from time to time to alleviate mats, or help get rid of lose fur (and prevent hairballs!). But what happens when your cat absolutely HATES to be brushed? My cat is prone to mats near his tail and under his chin, and when I pull out the brush to help him out – it generally ends in me bandaging up my many cuts from his claws and teeth. Normally not aggressive, something changes in him when I pull out the brush. When I first started grooming him, it was terrible. It hasn’t improved 100%, but with a few trial and error methods, I’ve come up with a way that lets me brush out mats, and come away with (most) of my skin intact. Like I said above, the second Pixel sees the brush it’s all over. I’ve started keeping several brushes hidden in drawers around the house where he likes to nap. When I see him relaxed, I grab the nearest brush and slowly start combing through his fur. The element of surprise is in my favor, and I generally get a good 3 minutes of brushing before he realizes it’s not me petting him. If your cat is prone to biting or nibbling your fingers during grooming time, distractions are your new best friend. 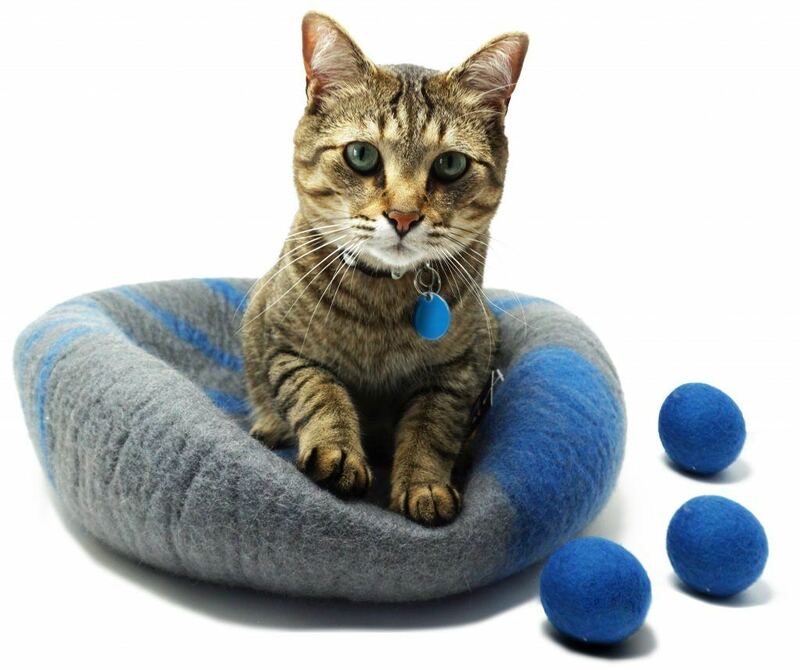 This can be anything from a cat nip toy that they curl up with, treats, or even an extra brush to chomp on. The extra “biting brush”, as it’s affectionally known in my house, is the best thing that I’ve come up with for my kitties. They're the sweetest cats in the WORLD (really), but they absolutely hate to be brushed. During one particularly nasty grooming session, I grabbed the nearest object to give him to bite (that WASN’T my hand), and lo and behold, he calmed down. I was able to brush out a nasty mat without losing a finger. Cats are sensitive and picky. Their skin is incredibly soft under their fur, and sometimes a hard-bristled brush can be too much for them. If your cat is not responding well to a specific type of brush – switch it up! Think of it like a different kind of massage for a human – some of us like a deep tissue, while others prefer just a light rub. There are many different kinds of brushes to try with your feline. Metal bristles offer a deeper brushing, and harder feel. While they do their job well, the pulling can be a little intense for sensitive cats. If your cat seems uncomfortable with the metal bristles, try a soft bristle brush. This brush has more “give” and won’t be quite as uncomfortable when it brushes through a mat. 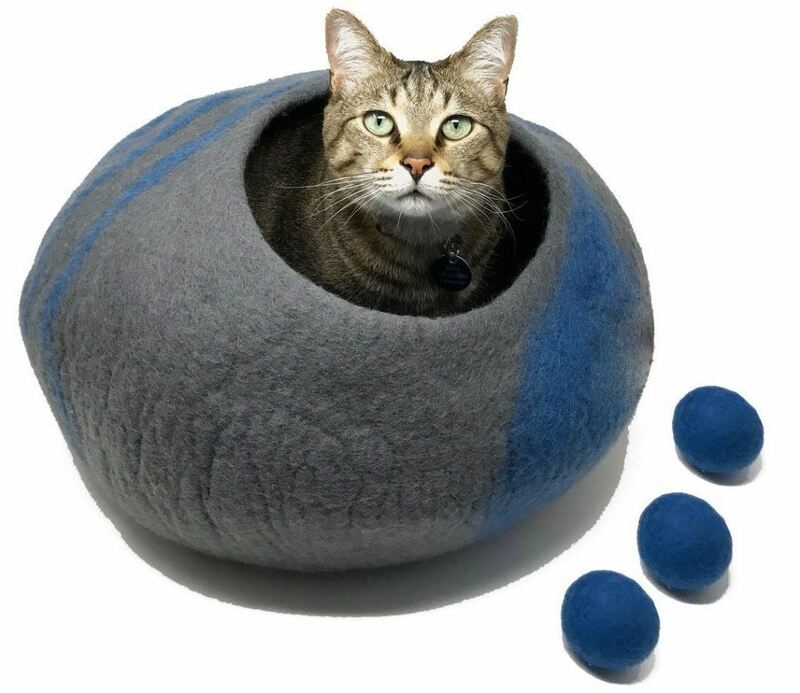 The overall feel of the softer bristles is better for felines that are a little skittish – the bendable material contours as they bend and pull away. When two hands aren’t enough – grab a friend! Have them hold the cat while you brush. I’ve utilized this technique before and, while it can take some time to maneuver the animal into the best position, it really does help to have someone else watching out for teeth and claws. Don’t think that you have to brush your entire cat each time you pull out the grooming tools. In fact, it’s best to start with just a few minutes to allow your cat to get used to the new sensation. Watch their body language. 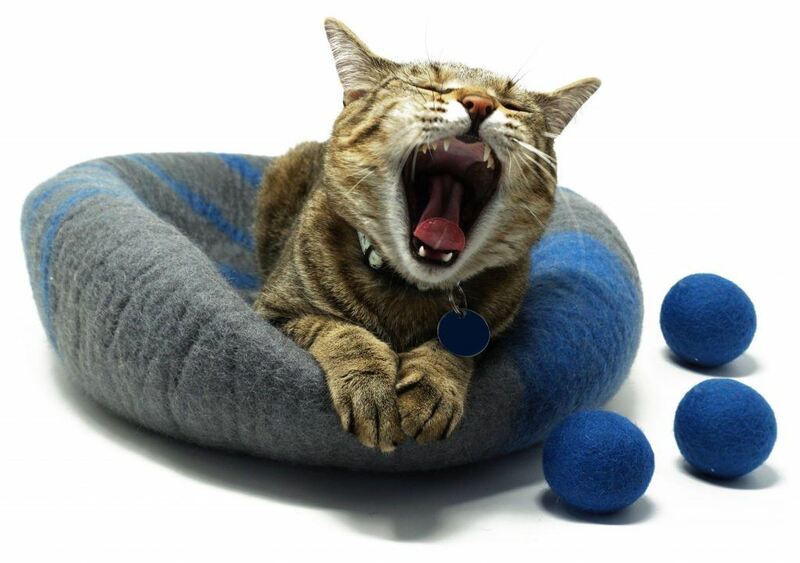 If they close their eyes and start to purr, chances are that’s the green light to keep going – they’re enjoying it! If they show distaste through a flicking tail or flatten their ears against their head, slowly put the brush away and try at a different time. Like we talked about earlier, cats are naturally prone to keeping themselves clean and groomed without our help. However, there are tools that we can give them to keep the lose fur at bay, and to give them the opportunity to brush the “hard to reach places” themselves. 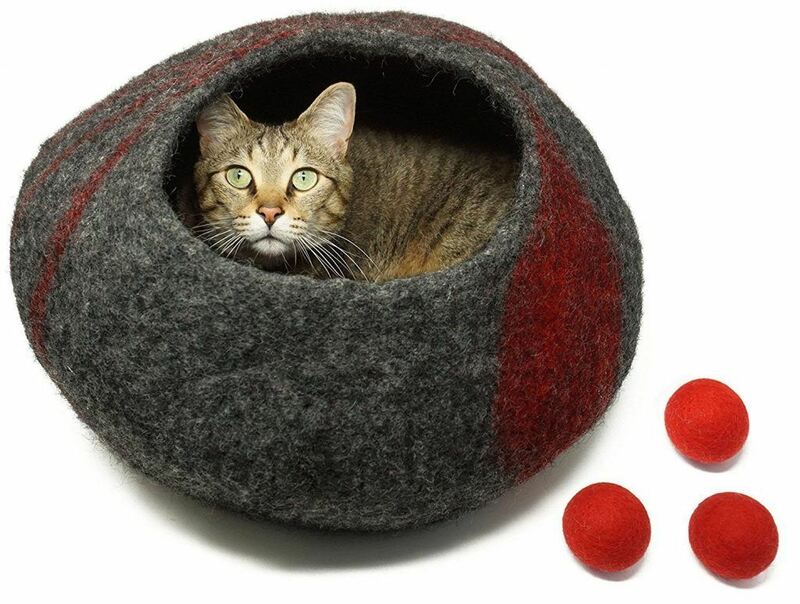 Certain pieces of cat furniture can have bristled arches for your cat to rub against. This let’s your pet decide when, how much, and how hard they are brushed. When it’s done on their terms, it will help them become accustomed to the feeling of being brushed, and they may even start to enjoy it when you groom them! In addition to the furniture, there are corner mounted brushes that you stick to your wall at cat height. The cat will rub against the bristles and brush themselves, just like the they do with the furniture! You can always tempt them by sprinkling catnip around the brush. This gives them the signal that the new furniture is theirs to use and enjoy! The biggest thing to remember when grooming your cat is patience. All cats are different and have different temperaments when it comes to brushing, and trial and error are the best way to learn what your cat does (and more importantly doesn’t!) prefer when it comes to being groomed. How Much Does It Cost to Deworm a Cat?